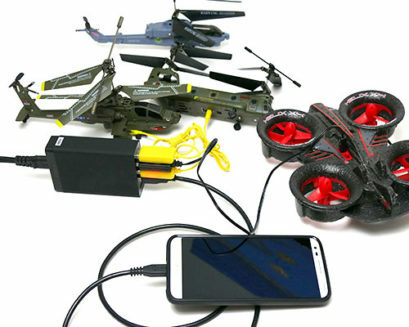 A lot of rc helicopters and quadcopters come with a USB charger that requires you to find a computer to charge from. 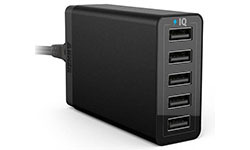 The problem is that computers charge slowly and aren’t very convenient when you want to charge more than one at a time. The Anker high speed USB charger has PowerIQ technology that will detect whatever you plug into it and charge at the optimal rate. I’ve been using one for over a year and it powers my cell phone, laptop cooler, and my helicopters/quadcopters! I literally use it everyday and I can’t image not having it. It’s small, about the size of a credit card and has a nice solid feel to it.